We ask that clients please arrive at least 10-15 minutes prior to time of service so that you will have time to fill out a brief intake form as well as begin to let go of the world outside before your service begins. It is best not to eat heavily or drink large amounts of alcohol directly before receiving spa services. A quiet space is maintained within the spa. Please remember to turn off or silence your mobile phone as well as utilize a "spa voice". This helps us maintain a relaxing, renewing environment within the spa. If receiving a pedicure, remember to bring sandals. If you do not have any, or if you forget to bring them, we do offer flip-flops for purchase. We are often asked about the subject of gratuity for therapists, and in response, it is certainly always appreciated. As a guideline it is customary in the spa industry to tip anywhere from 20-25%. 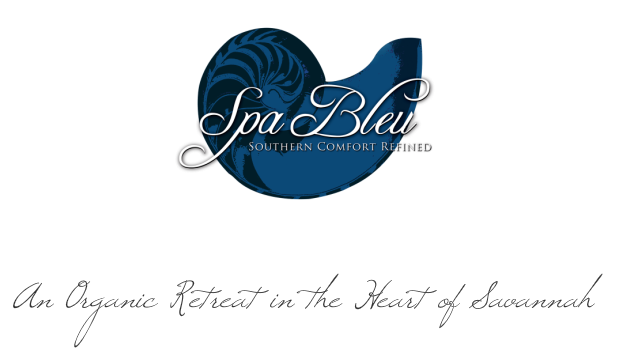 A minimal gratuity of 20% will be added to all spa packages at time of checkout. If you feel that your service was excellent, we welcome you to leave any additional gratuity you may desire. Please let the front desk know if you have any questions about this at your time of service, and they will be happy to help you. Please let us know if you are running late & we will do our best to accommodate as much of the remaining service time as possible, as we need to remain on schedule for all clients. We have a 24 hour cancellation policy, and anyone who does not show up for a service will be charged 100% of the service price to the credit card on file. Street parking is available in the areas immediately surrounding the spa. There are parking garages just one block away on Drayton as well as on Whitaker. We accept SpaFinder gift cards and certificates. Ask about local, SCAD, and military discounts. Discounts do not apply to pre-discounted packages and specials. Sunday opening by request and availability - If you are planning an event or have a group of 10 or more, please inquire about availability. Please let us know if you have any questions. Call us at 912-236-1490 or send us an email. Click here for a map of downtown Savannah and spa location.